You choose your crystal of the day and tuck it in your bra but nada; it’s missing the spark that you felt when it first caught your eye. You’ve gotta make the time to get to know your crystals if you want to unlock their secrets. You choose your crystal of the day and tuck it in your bra but nada; it’s missing the spark that you felt when it first caught your eye. It keeps trying to get your attention but you don’t know how to go deep and tap into its wisdom. The thing is, you’ve been speed dating your crystals instead of taking the time to get up close and personal with them. You’ve gotta make the time to get to know your crystals if you want to unlock their secrets. Advice For Working With Crystals And The Lunar Cycle! Crystals can help us integrate the lessons that each zodiac sign and astro season comes to teach us. It takes time to re-wire habits, thought processes and beliefs, however working with a crystal consistently – keeping it tucked in your bra/pocket, wearing it around your neck, placing on your desk, meditating with it, sleeping with your crystal under your pillow or having a bath with your crystal by your side – can help you tune into its frequencies, so that you can feel supported. Have a bath with your crystal by your side. I’d recommend choosing one crystal to work with for a month. 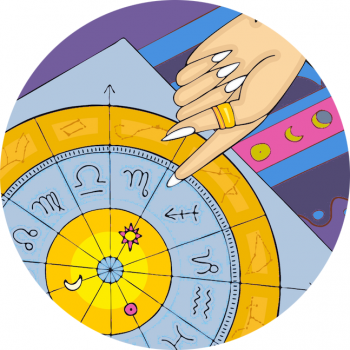 Start getting to know a new crystal with a new astrological month – i.e. Leo Season – or at the beginning of the new moon for a full moon cycle, or whenever you feel like it’s time to switch things up. Keep a journal and take note of any insights or shifts that you may experience from this journey; writing things down can help you keep a record of things that could easily be forgotten but totally validate what your intuition has been whispering to you. Think of it as writing notes of wisdom to your future self.